In a city like Boston that’s bustling with busy people, coffee ranks higher than food, water, and air. For students and professionals alike, getting that morning fix or afternoon jolt is as essential as breathing. Okay, that’s a bit of an exaggeration, but just only a slight one. But even though Boston is said to “run on Dunkin”, many coffee-lovers prefer the unique, local shops to big name changes. And so do we. Which is why we’ve rounded up all of the ones that are worth visiting. If it weren’t for George Howell, you might not be reading this list today. 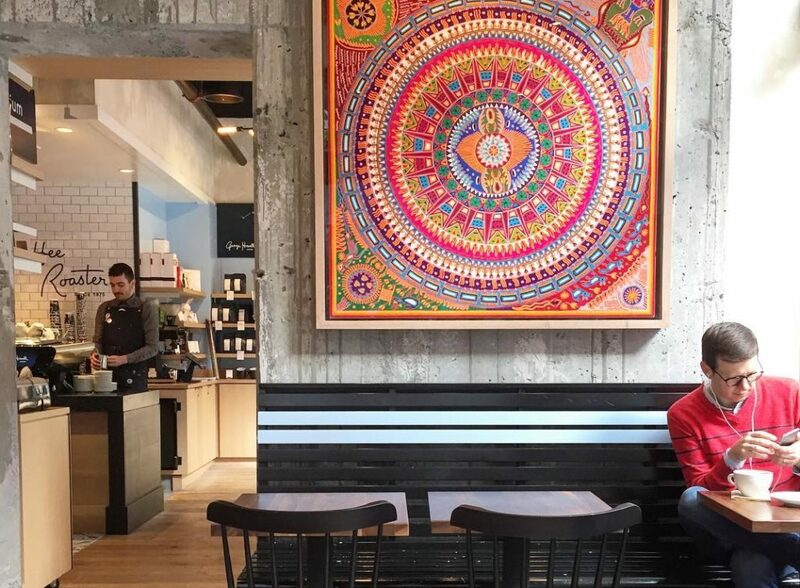 Howell opened The Coffee Connection in Harvard Square in the 1970s and that’s where he invented the famed Frappucino. Starbucks liked what they saw and bought the business, spreading coffee goodness across the land. (But we know who the real OG is.) Now, you can sip George Howell’s single-origin brews at two spots in the city: the Boston Public Market and the Godfrey Hotel. Roasting in the heart of Boston’s downtown, this cafe has been dedicated to the pursuit of coffee perfection since 1952. They pride themselves on having the finest beans from the healthiest soil and a meticulous roasting process, so they can bring you the best cup of coffee you’ve ever experienced. And since the owners are Japanese, they strive to bring a bit of Japan’s coffee culture to Boston with every delectable brew they serve. Just steps from the North End, you can find this coffee shop where the farmers and customers have equal say in the foods they make and consume. Equal Exchange has built long-term trade partnerships that benefit all both economically and environmentally; it’s one of the largest worker cooperative organizations in the country. Pay them a visit to try coffee’s honoring the region they came from. And check out the website to learn more about how Equal Exchange gives back. 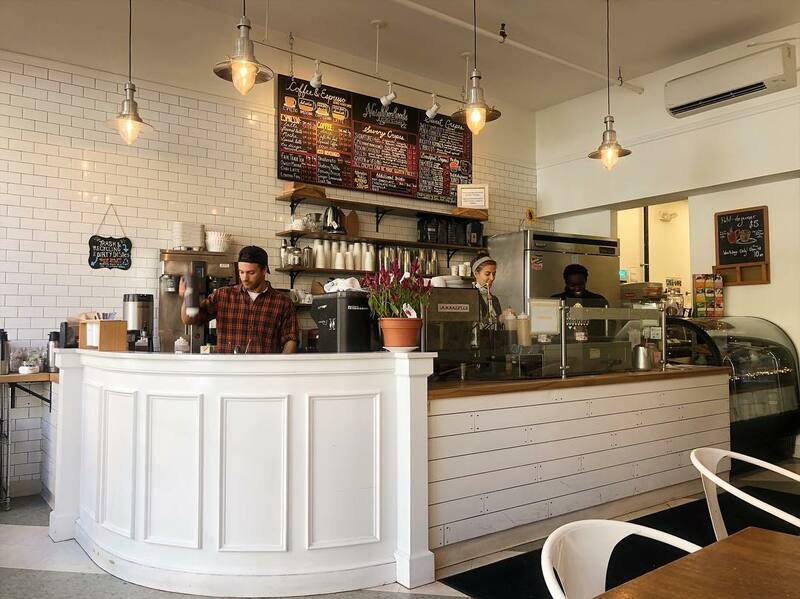 This tiny Coolidge Corner coffee shop is a no-frills affair. But that’s because the owners are fully focused on making a darn good cup of coffee. All of the beans they use are roasted in-house, so they’re always super fresh. And you can even take a bag of beans home with you to recreate the magical 4A experience anytime the craving hits. This authentic Italian cafe lures people in with their high-quality food and coffee drinks, and encourages them to stay with their endless hospitality. 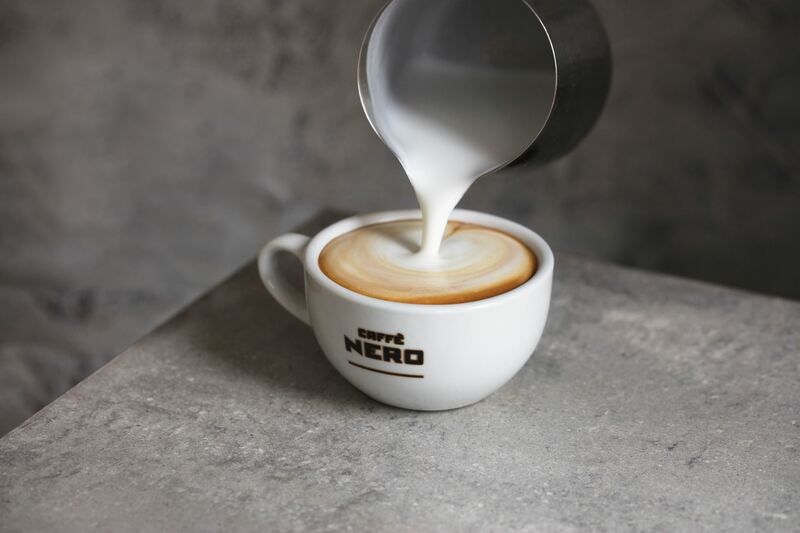 It all started in 1997, and since then, the Caffé Nero founders have opened up shops all around Boston, serving fine-crafted Italian coffee to the masses. If you consider yourself a serious coffee-lover, don’t sleep on their famed espresso, which has been described as the best espresso this side of Milan. Blue State Coffee is a family-owned business that was created with the idea of community in mind. As a company, they donate a percentage of sales to local non-profits, use sustainable practices, and, of course, serve world-class coffee. Since 2004, Blue State has opened multiple shops in New England, including on Commonwealth Ave. and in the Seaport. Each location serves a wide variety of Fair Trade coffee, baked goods made with all-natural ingredients, and meals created with locally-sourced products. You’ll find this tiny, but mighty, coffee shop in the Leather District. Gracenote is a classic espresso bar, though, you can get other coffee beverages here, too. No matter what you order, you can expect it to be packed with flavor. The company sources some of the best green coffee in the world, roasts it to perfection, and uses the best equipment to brew each cup. It’s this attention to detail that keeps people coming back for more. You can’t really beat a place that sells coffee and crepes. Created with the intention of connecting people and communities, Neighborhoods works with local farms to bring premium products to their patrons. Along with their many sweet and savory crepes, this quaint shop serves up George Howell Direct Trade Coffee and Numi Organic & Fair Trade Tea. You’ll can find them in the Fenway area, so plan on stopping by before you catch a game or grab a cup and go for a walk along the Emerald Necklace. 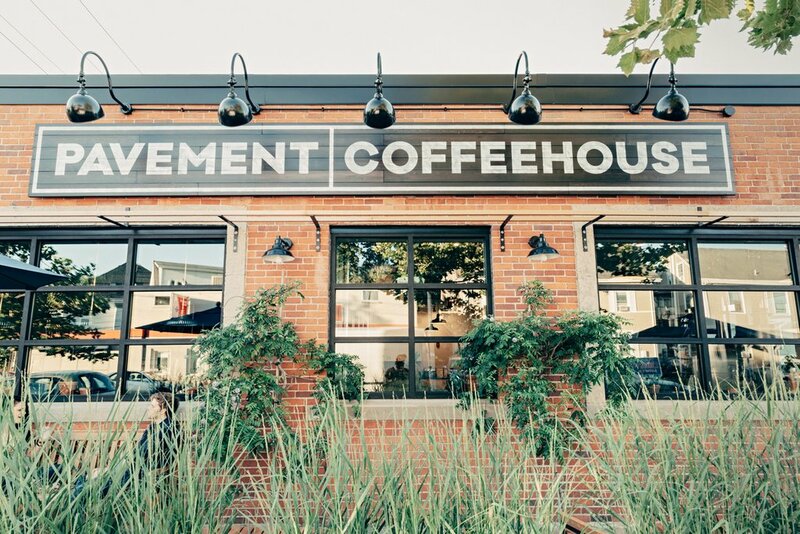 It’s really no wonder that Pavement has grown to eight Boston locations since their inception. This quality-driven coffee house is dedicated to producing some of the best coffee in the city, and we’d say they’re nailing it. 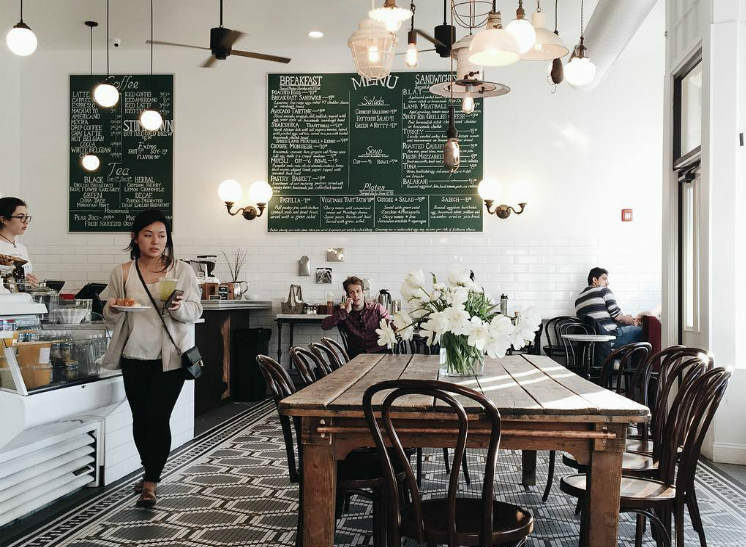 People flock to their shops scattered across the city for award-winning coffee, homemade bagels, and a cozy atmosphere. So, expect a warm welcome to go with your brew every time you visit. 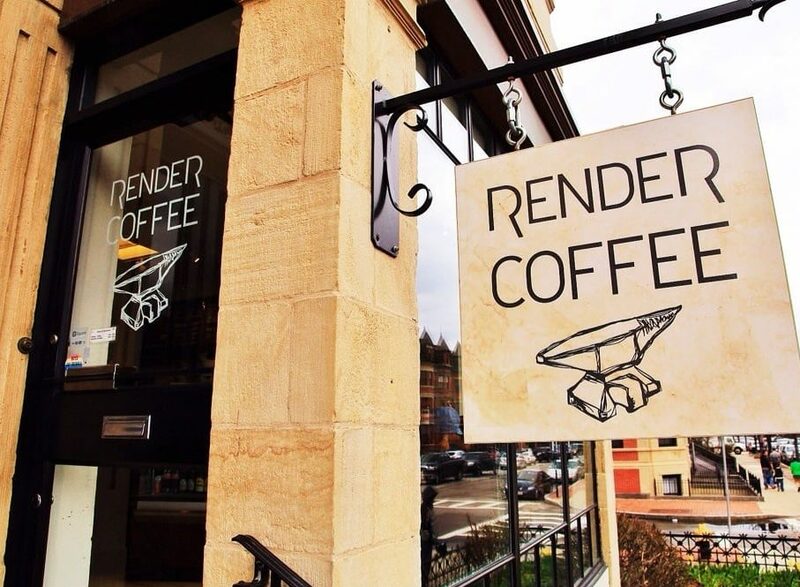 If you love pour-over coffee, you can’t miss Render. Visit their shops in the South End or Financial District to experience a super-silky, super-strong cup of joe. Really, if you’re looking for a major buzz, Render is the place to go. Prefer espresso drinks? They serve those, too. 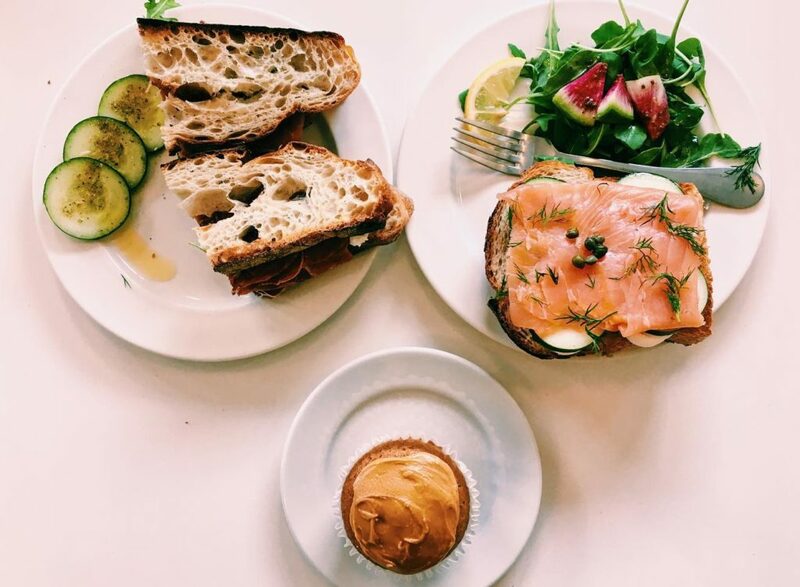 Stepping into any of Tatte’s eleven locations in Boston, Brookline, and Cambridge is like walking into the most perfect Instagram feed you’ve ever seen. And the beauty isn’t just in the decor. 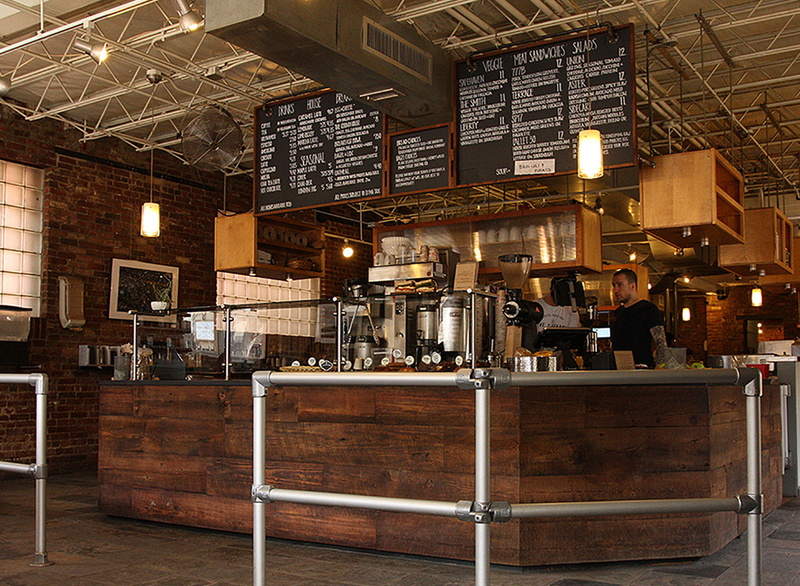 Tatte makes a mean cup of coffee and tons of terrific espresso drinks. Pair one with a treat from Tatte’s tempting pastry case and sit awhile. This is the kind of place that you won’t want to leave even when your cup is empty. Don’t worry, though, we won’t judge if you order another round. 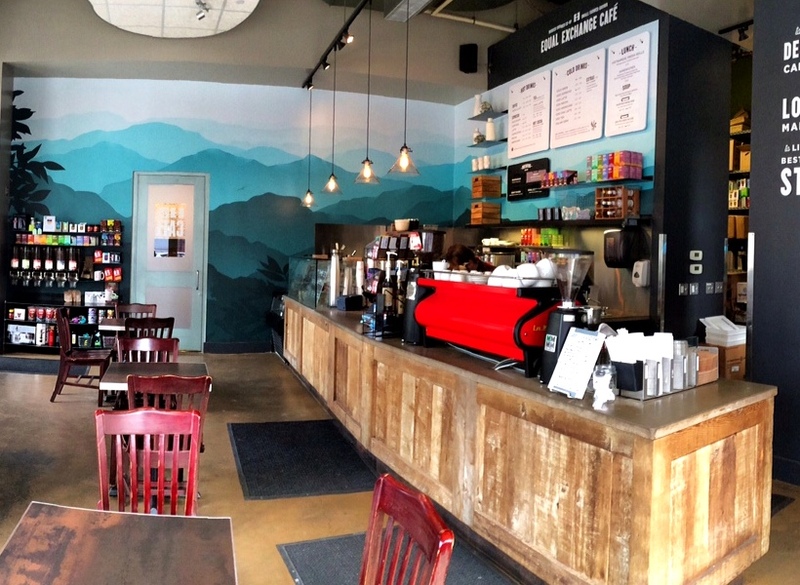 This multiple location coffee shop is a favorite among locals and visitors alike. 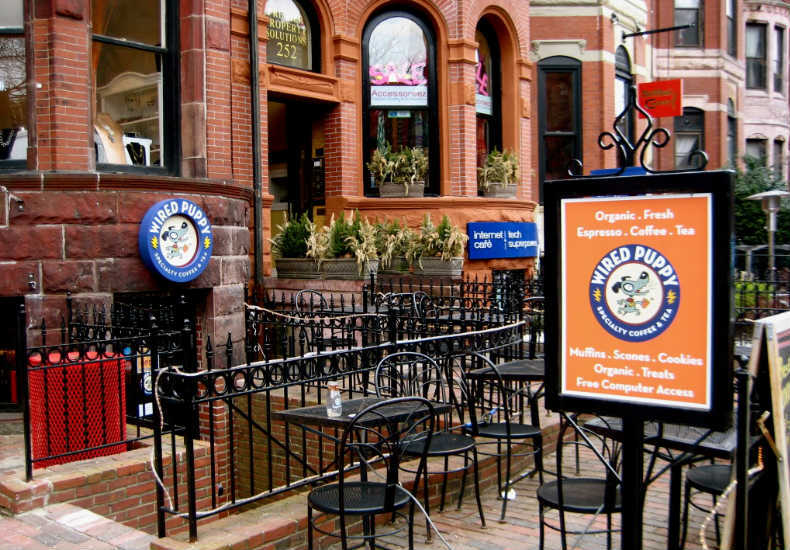 Conveniently set up along the Boston Common, in Back Bay, and in the North End, Thinking Cup is hard to miss. And you won’t want to. 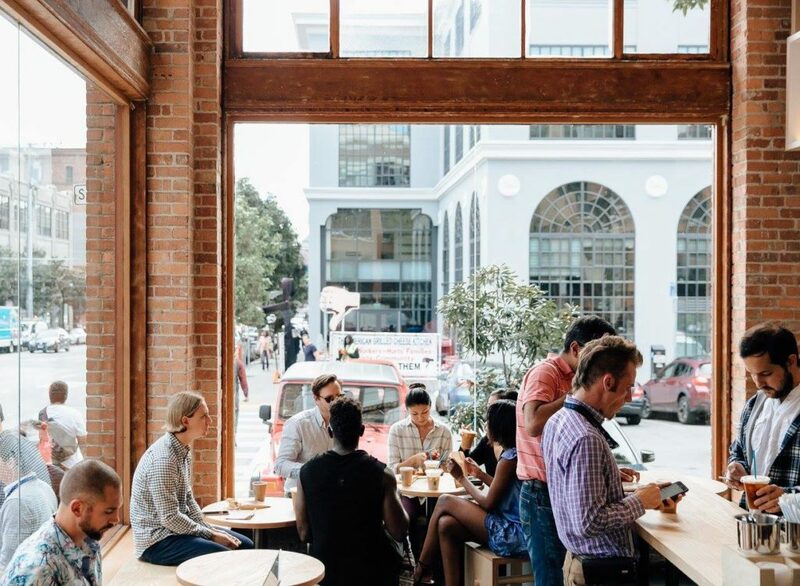 Their claim to fame is that they serve Stumptown Coffee, straight from Portland, Oregon, which has been repeatedly named “The Best Coffee in the World”. 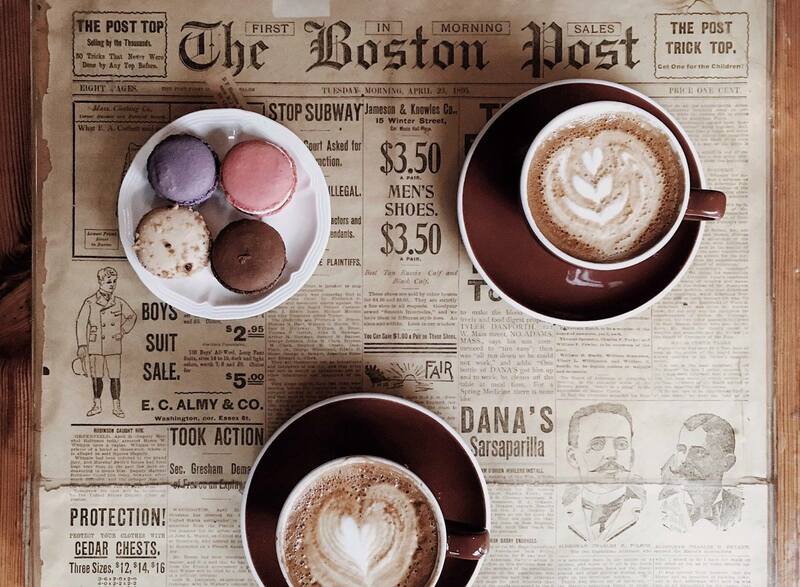 Plus, they were the first Boston spot to exclusively serve Stumptown, which in itself is reason enough to stop by. If a coffee buzz if what you’re after, then make Wired Puppy your go-to shop. This European-style coffee spot, which originated in Provincetown and has since opened on Newbury St., serves up certified organic, Direct Trade coffees, teas, and fresh-baked goods. 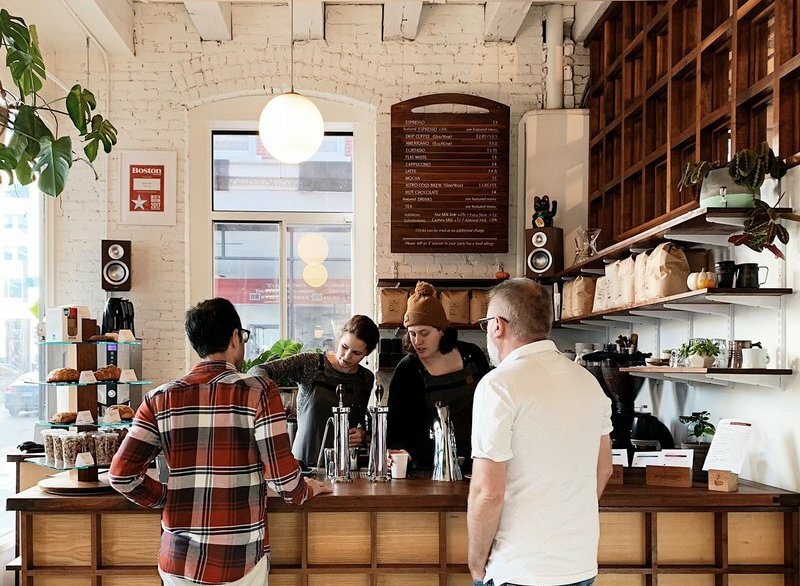 Coffee fiends flock to their Single Cup Brew Bar to get a coffee made with a variety of methods, like pour over, siphon, AeroPress, Chemex, or French press. Whether it’s your first or 50th time visiting, this little shop will make you feel like you’re a part of the Figs Family. 3 Little Figs in Somverville takes their coffee program very seriously, but not in a snobby way. They bring in a rotating selection of roasters from near and far, so you always get to sample something new. While you’re there, pick up a tasty pastry, the “best ever” spinach pie, or one of the shop’s lunch options. 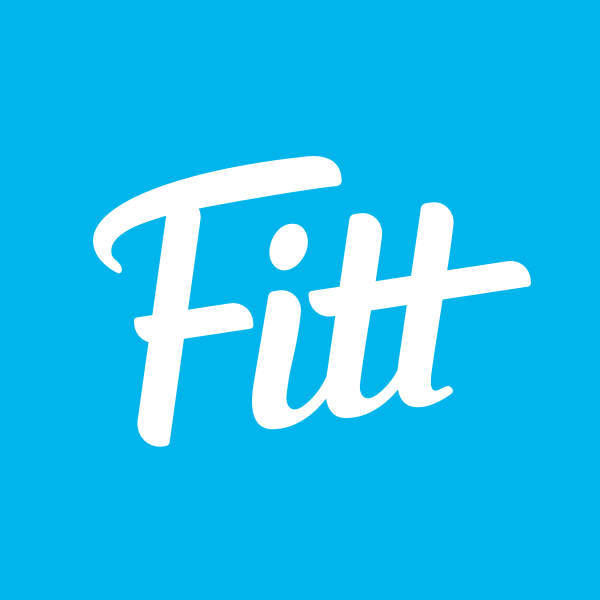 Fitt Tip: in the warmer months, snag a seat outside and soak up a little sun. 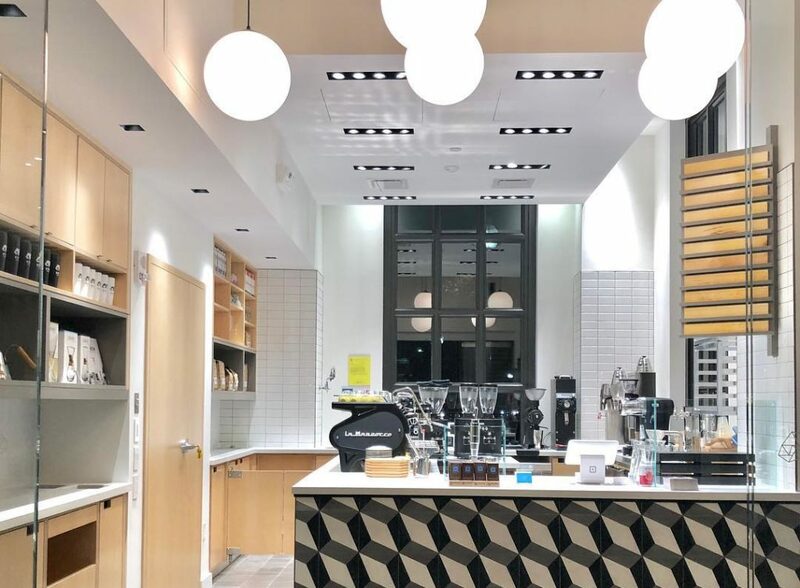 This Union Square-based spot has turned a former bank into a must-visit place for just about anyone who enjoys coffee, food, or awesome decor. Of course, that might explain why there’s occasionally a line out the door on the weekends. But trust us — it’s well worth the wait. The baristas behind the bar regularly brew fresh batches of Intelligentsia Coffee, which, if you didn’t know, is one of the finest mid-size roasters in the specialty coffee industry, along with single-cup pour overs that carry just the right amount of jolt. 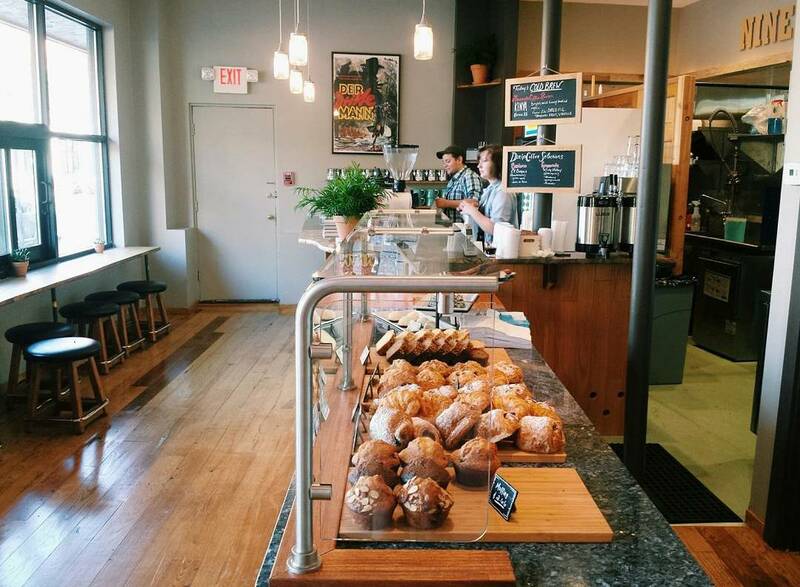 This small espresso bar in Davis Square is newer to the scene, but you’d never know it. The baristas who brew their expertly-crafted coffee and espresso drinks are some of the best in the biz. 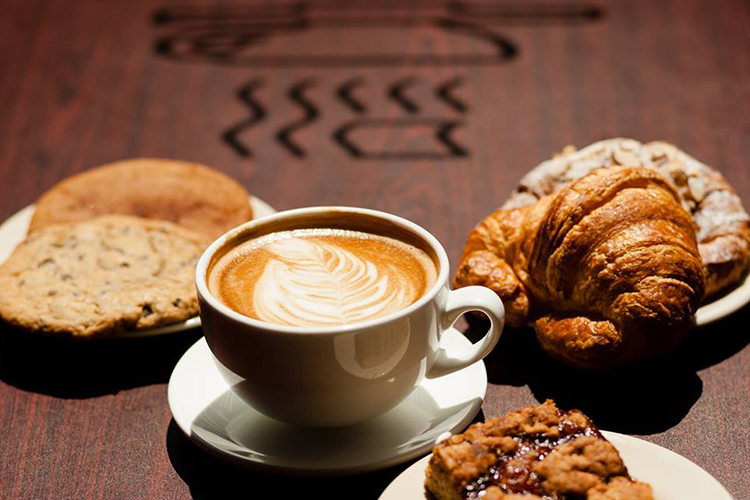 And if you need a little something extra to fill your stomach, Nine Bar’s beverages go perfectly with their pastries. Looking for even more espresso goodness? Visit Nine Bar’s sister store Simon’s in Cambridge. 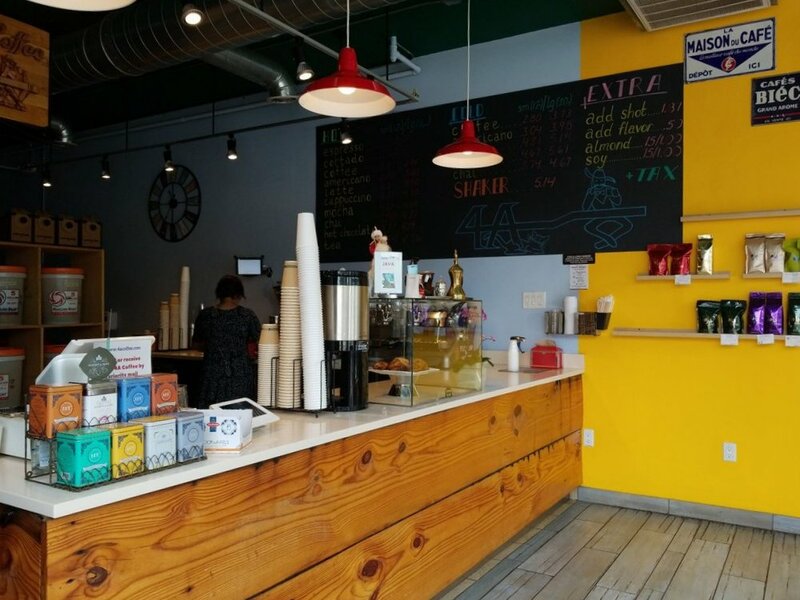 You can visit this Cambridge-based coffee shop in either Inman or Central Square, which means you’re too never far from strong cuppa’. 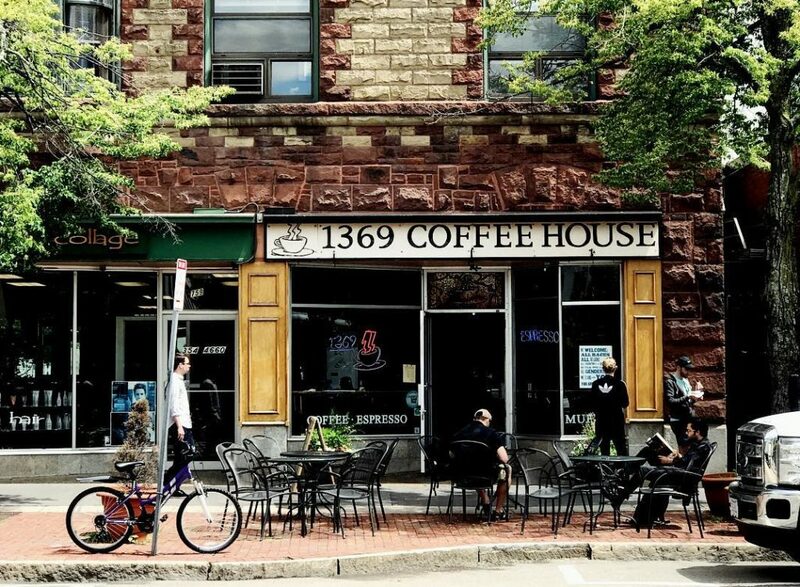 1369 has been a staple of the scene for a long time, so it’s always packed with people who know and love coffee. Can’t get enough of the shop’s cold-brewed iced coffee? Take some home in a growler to get your fix anytime you need it. 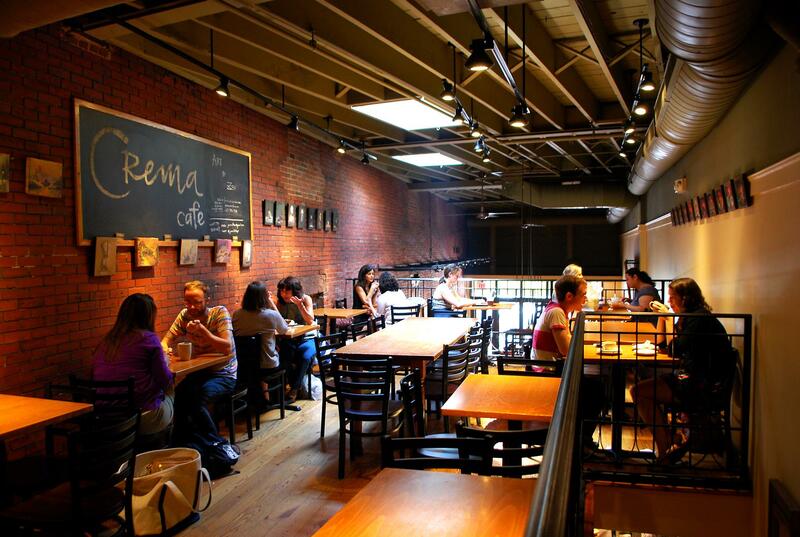 It’s really no surprise that Crema Cafe was inspired by European coffee shops. This cozy shop in Harvard Square was designed to be a neighborhood spot with fresh ingredients and a warm environment. And to this day, that’s exactly what it is. 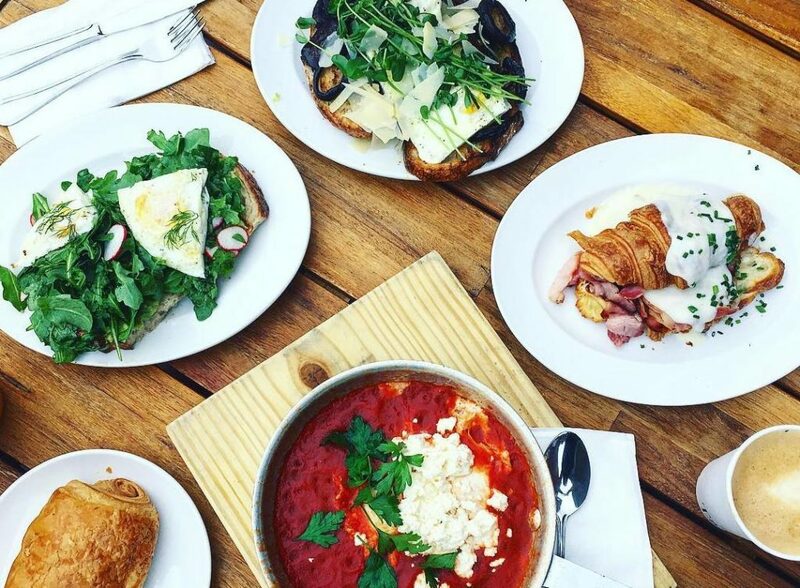 Crema serves a combination of classic and signature pastries, handcrafted drinks, and inventive lunch specials. Prefer tea over coffee? Try one of Crema’s dreamy tea lattes. Renowned for treating coffee like a delicacy, Blue Bottle Coffee is the place to go to experience freshly-roasted single-origin beans. Not to mention, every coffee on their ever-changing menu is taste tested (blindly and otherwise) to determine the precise days it will achieve peak flavor. They even have a freshness guide on their website to help customers make the most informed decision before placing their order. (It doesn’t get much better than that.) 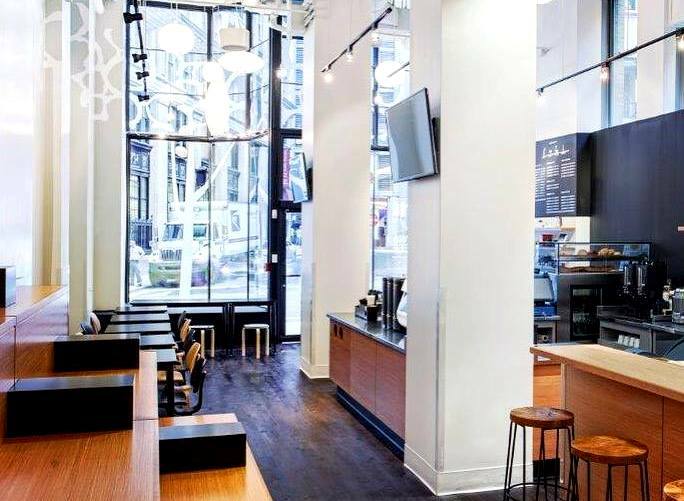 Choose from locations in Back Bay, Cambridge, and The Financial District to enjoy a cup of joe at its absolute finest. The moment you walk into KōHi in Boston Landing, you know this is not your average coffee shop. With just a standing bar and booth tucked away in the back, their unique setup urges standing conversation while you enjoy your beverage of choice. As for the coffee itself, it comes from Tandem Coffee Roasters from Portland, Maine and is available in all forms. Whether you’re into espresso, cold brew, or a single-origin pour over, there’s a little something for everyone. Prepare to be impressed.